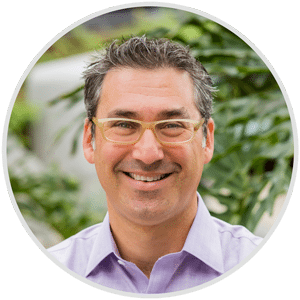 Marc Sklar is a founding principal of the Reproductive Wellness Clinic in San Diego California. He has extensive experience and expertise in treating and resolving the causes of infertility and recurrent pregnancy loss with classical Acupuncture and Chinese Medicines. A culmination of studying world religions and ancient healing techniques, combined with extensive world travel, gives Marc Sklar a unique understanding of the human body and spirit. A Doctor of Acupuncture, Board Certified Herbalist and Oriental Medicine Practitioner, and Fellow of the American Board of Oriental Reproductive Medicine, Sklar approaches his patients with an open mind, compassion and a medically integrative perspective. Sklar works closely with patients to return them to optimum health, collaborating with a patient’s entire wellness team of physicians and health practitioners, when necessary. Sklar constantly strives to integrate traditional and complementary care in order to effectively improve and maintain his patient’s life-long health. To assist his patients in taking positive steps toward optimum health, Sklar uses a multidisciplinary approach including acupuncture, herbology, biomedicine, nutrition and lifestyle recommendations. Sklar specializes in gender-specific disorders such as infertility (male and female), gynecology, men’s health, and women’s Health. Sklar completed his undergraduate degree in Comparative Religion at the University of Florida. While attending the University, Sklar was exposed to Oriental Medicine after searching for the most effective way to recover from an illness. This experience was a catalyst to expand his studies of Asian religions to include Oriental Medicine. To pursue his interest, he explored the Middle East, India, and Nepal. Upon returning to the United States, Sklar moved to San Diego to pursue and complete his Masters of Science in Traditional Oriental Medicine at the Pacific College of Oriental Medicine. Since completing his master’s degree, Sklar has studied with many prominent figures in the field of Oriental Medicine, as well as the Western medical world at large. Working closely with his mentor, local fertility specialist Donna Keefe, Sklar has been trained and certified in the treatment of infertility and women’s health. Sklar has been trained and certified in the treatment of infertility and women’s health by nationally renowned Dr. Randine Lewis. Sklar has also trained at the Harvard Medical School, Mind/Body Medical Institute under Dr. Herbert Benson, M.D. and Peg Baim, M.S., N.P., where he became certified in Mind/Body Medicine.